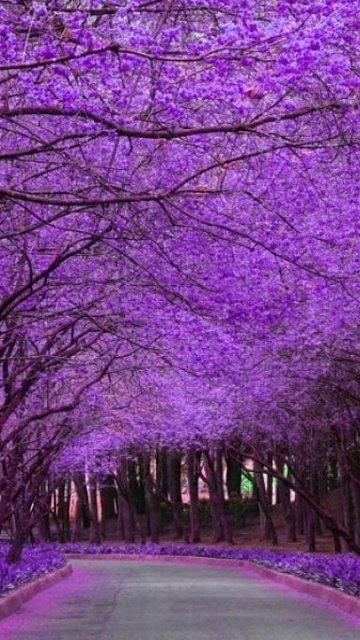 Jacaranda is a genus of 49 species of flowering plants in the family Bignoniaceae, native to tropical and subtropical regions of Central America, South America, Cuba, Hispaniola and the Bahamas.It has been planted widely in Asia, especially in Nepal. It is found throughout the Americas and Caribbean, and has been introduced to Australia, New Zealand, India, Fiji, Portugal, Spain and parts of Africa. The genus name is also used as the common name.